Ursula is a leading psychologist, clinical supervisor, trainer, facilitator, guest speaker and creator of the internationally acclaimed Shark Cage Framework. Based in Melbourne, Australia, she has 25 years’ experience in the fields of complex trauma, family violence and sexual assault. Ursula is the Victorian Convenor of the Women and Psychology interest group of the Australian Psychological Society. She has spoken and written about issues relating to violence against women and complex trauma in many different forums. Ursula has provided training in the Shark Cage Framework in Australia and internationally to over 2000 professionals. Ursula is the sole provider of training in this inovative trauma informed framework. She has recently written a book for professionals about the Shark Cage Framework that gives step by step guidance on using the 5 steps of the framework in individual and group settings. Ursula is also passionate about providing non-therapeutic professionals with the training and supervision support they need to understand and manage the impacts of working with clients who have complex trauma histories. 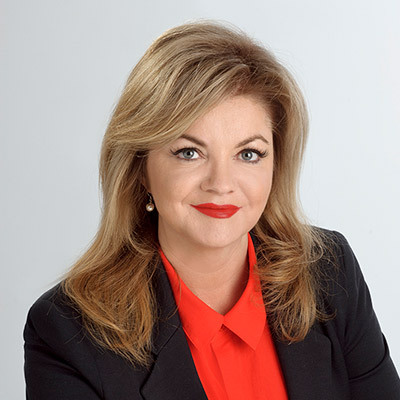 Ursula is well known for this work in the legal sectors of Victoria, Australia. The Shark Cage Framework has been hugely popular and has resonated with hundreds of women in group and individual settings. 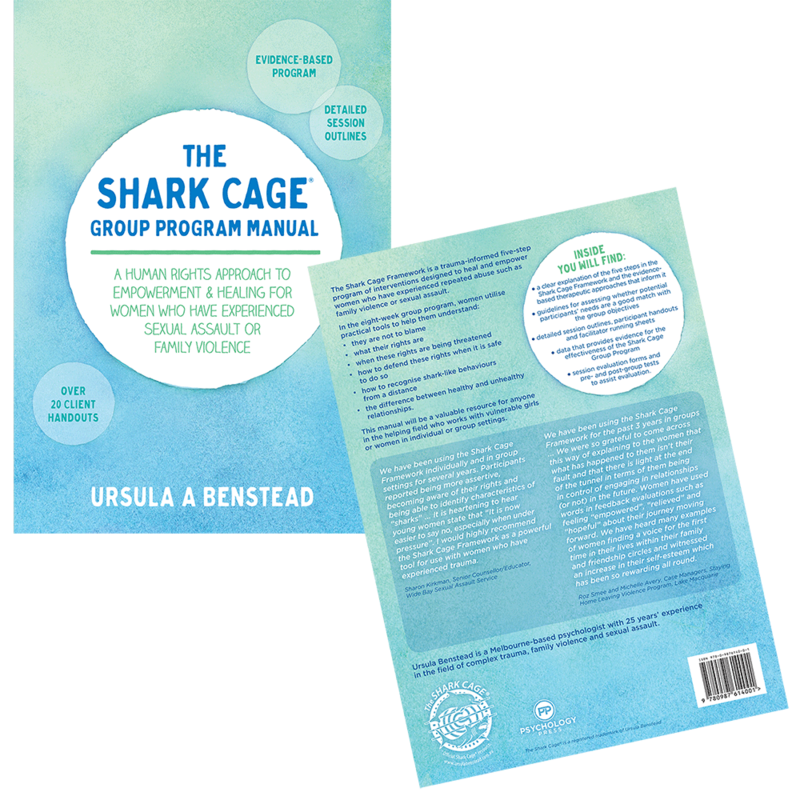 Whilst the Shark Cage training gives workers a sound understanding in the five step framework there was a demand for a detailed Shark Cage Manual that workers could use to guide them in their work with women. The Shark Cage Group Program Manual: A Human Rights Approach to Empowerment & Healing for Women who have Experienced Sexual Assault or Family Violence (Benstead, 2017) is now available for purchase. The evidence based program is set out as an eight week group program that can also be used as the basis for individual Shark Cage work with women. The manual is designed to be used with the creative resources provided in The Shark Cage Mural Kit. Buy now via Paypal / Credit Card. ‘The Shark Cage’: the use of metaphor with women who have experienced abuse.